Blackheath Day Spa: Founded in 1995 – all you want in your local salon. A professional Manicure or Pedicure at Day Spa Blackheath will leave you feeling like a superstar! We have a rainbow of must have fashion forward shades that will make your nails a sensation! As a Spa we know if you feel good about your appearance you’ll feel good about yourself and you become a more positive and productive person. Most people would agree beauty is confidence and we at Day Spa Blackheath can make that happen. We strive to give you the environment and time you need to achieve these results. We understand that day to day life can be stressful and taking time out will make all the difference. 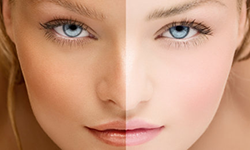 An ultra-fast spray tan applied by a professional therapist is the quickest and most effective way to achieve a beautiful, golden glow. 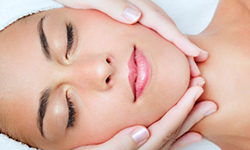 Reveal beautiful, glowing, healthy skin with a luxurious facial treatment at Day Spa Blackheath.